Laundry has to be my least favorite chore. This might change my mind. I'd love all our clothes to be perfectly flat and folded with no creases. Available here. 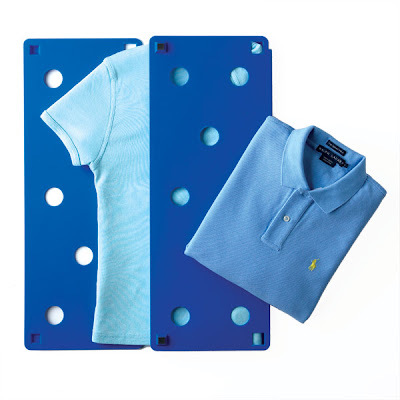 I used to work in retail & LOVED the folding boards! I seriously wanted to steal one when I left. Now I don't need to! A really cheap and still effective way to get your laundry folded without spending any money is using a 8 x 11 envelop. Would I ever love one of those...I could finally prove to my husband that you DO NOT fold the shirts in the middle! Nice blog! Very helpful. Bend Oregon is a great place to live! ive used one of these before..they are amazing! My first Tangled and True post. I'm a FlipFold fanatic. So much so that I wore my first one out (after many foldings) and bought another one. Folding tshirts is a breeze and they turn out to be all the same lovely size to store in your drawers. I've tried other methods, but this is by far the easiest way to make your laundry neat and organized.